There are many ways to creatively make your TV disappear. Put up video stills of art! Laura Day brilliantly paused Marilyn Minter’s first video “Green Pink Caviar” and the TV totally disappears. Can you spot it? Image via Lonny. Or, hide it with a mirror! 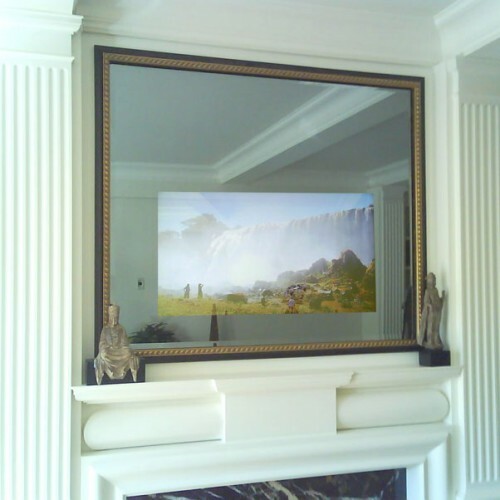 Seura has some sleek products to hide the TV in a mirror. Auton‘s apparatus chicly covers the TV with sliding art. Love this idea! Media Decor also offers art lifts. 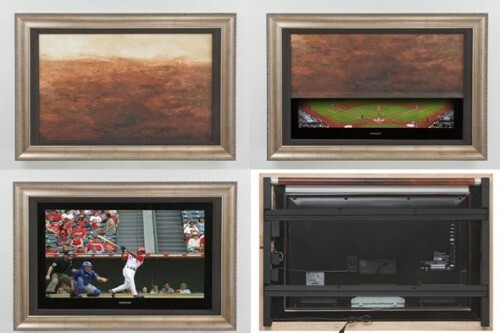 VisionArt frames the TV and inserts canvas art inside the frame which then motors up and down. 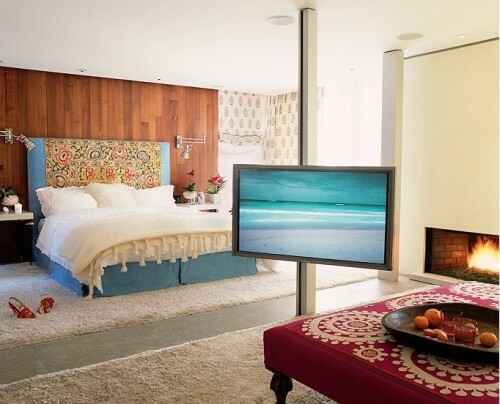 Katie Leed cleverly places the TV on a minimalist column with a gorgeous beach scene on the screen. 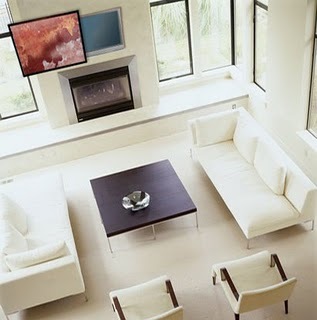 Great idea for an alternative to a wall mount TV installation.